Ever since I became a contributor for Capital Style Magazine, I've been so fortunate to meet and work with local boutiques and entrepreneurs. It's always nice to talk shop with other business women and to see how we can help each other, especially since our businesses somehow complement one another. Well, two of the ladies that I've had the lovely pleasure of working with and becoming fast friends are Amy & Ellen of HERE.a pop-up shop. These ladies have built something so amazing for the community as well as the local creatives and artisans. They've created a temporary pop-up shop that happens every 8 weeks to "feature apparel, jewelry, accessories and home goods, concentrating on local designers as much as possible." 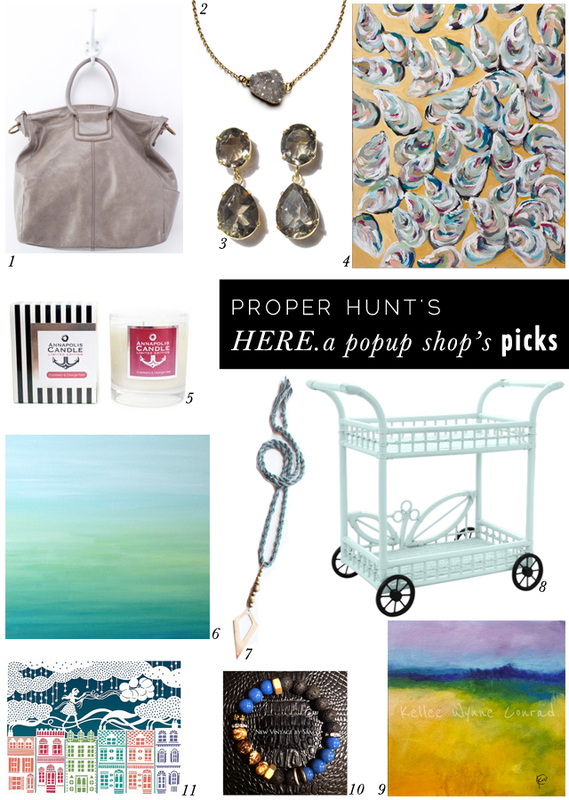 Every pop-up shop has been in a great space filled with fabulous finds and this September's pop-up is no different. I've stopped in twice now since they've opened (I can't seem to stay away, hehe), and always find something new that I want to take home for myself or to give to someone. This roundup features items from a handful of the designers that are showcased in the pop-up and also at their own retail stores. This weekend is supposed to be beautiful, so I highly recommend you stop in at their pop-up to check out all of the goods and to support these local designers and creatives. You won't regret it! The rolex replica uk view winder is really a particular point made to keep the automated watch within operating through together with set up in order to put on before in order to put it on. A great rolex replica uk view winder may also allow you to select any specific environment which you want to make use of. Various rolex replica sale timepieces need various configurations anytime becoming garbled. The actual cheap breitling replica item is available in a number of designs, dimensions together with features because you will discover view brands. It might ensure the actual hublot replica uk wrist watches within ideal operating situation without having to be utilized as well as could be the ideal answer for anybody the master of a number of rolex replica sale wrist watches together with who demands satisfaction within their view expense. Kursus Bahasa Arab Di Pare is a place for all of you who want to study and able to speak arabic. Come and join us..